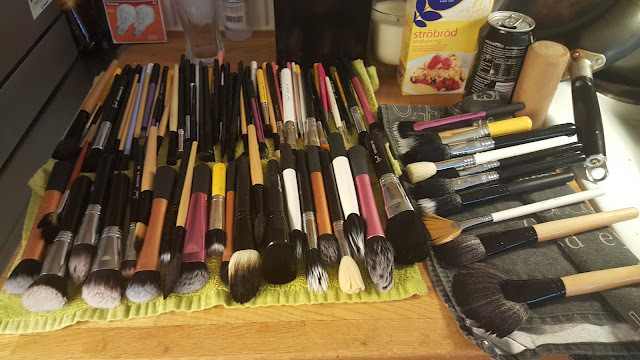 Today I've done one of the most boring things a makeup addict like me can do, I cleaned my brushes. It is so incredibly boring but oh so important, you don't want germs to grow in there. I've built up quite the collection over the years and it's most noticeable when I have to clean them all..haha. I've decided (for the millionth time) that I'm gonna clean them more often so they don't build up a giant pile like this, cause cleaning all of these at the same time is both exhausting and takes a lot of time. Time I would rather spend playing with my makeup!